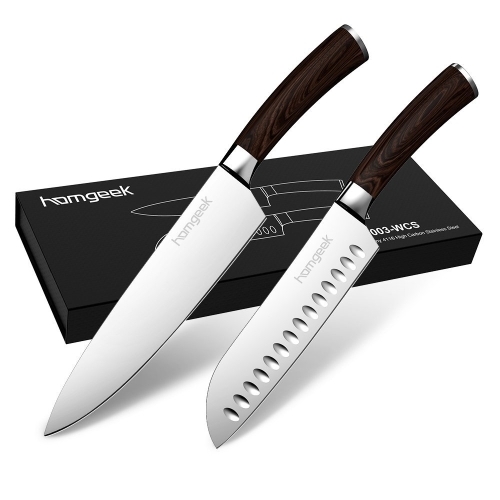 Very versatile knives set that including a 7" Santoku Knife and a 8" Chef Knife to meet your different cutting or chopping demand. 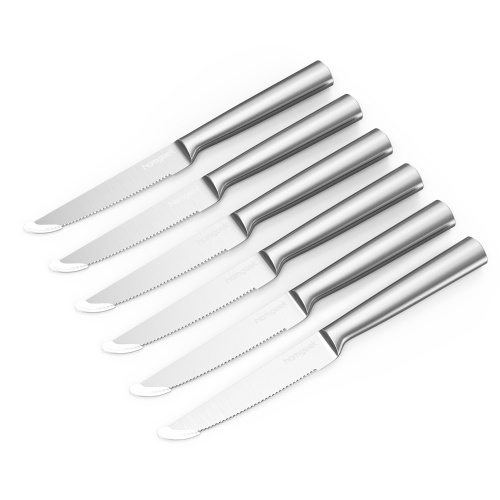 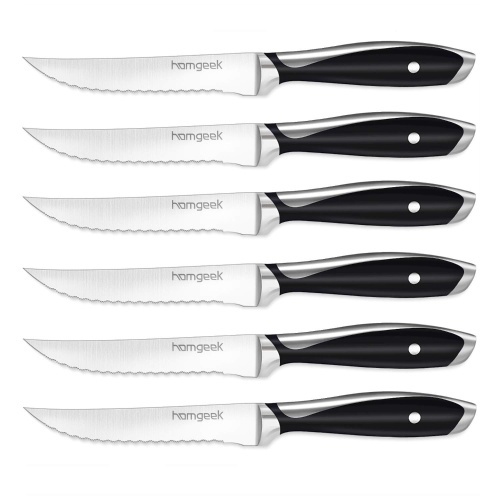 Made of high-quality Germany steel, the knives are lightweight yet durable, sharp blade is rust-proof and in high hardness, performed well in slicing, dicing, chopping, mincing and more. The hollow edge prevent food from sticking to the blade. 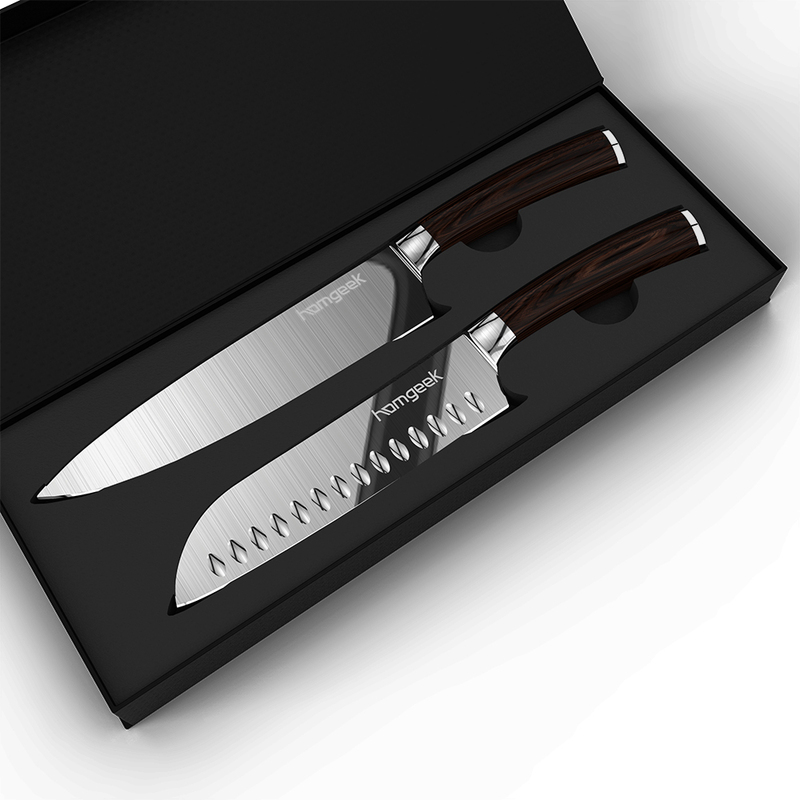 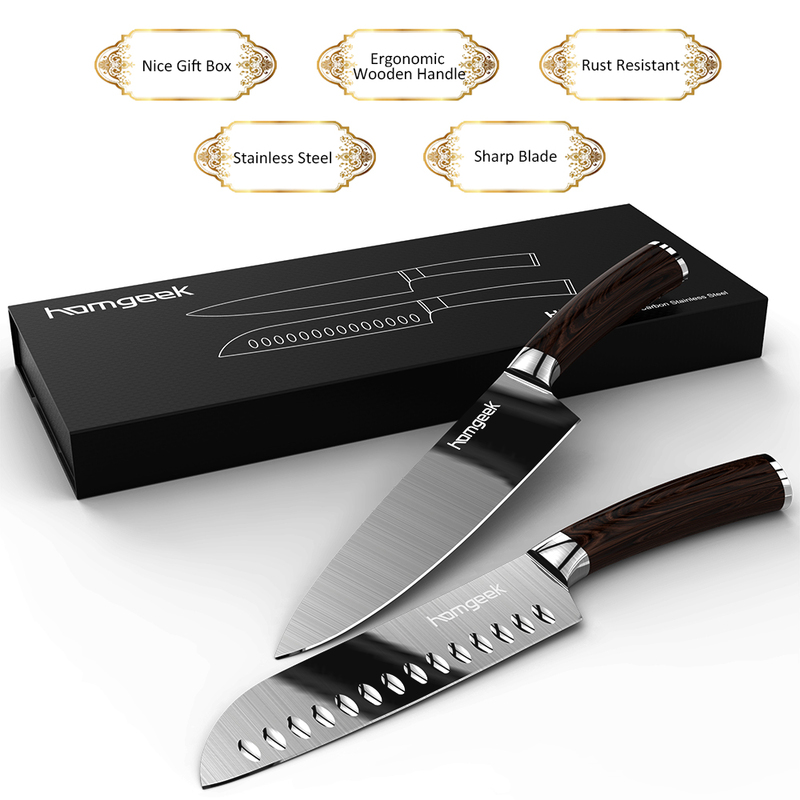 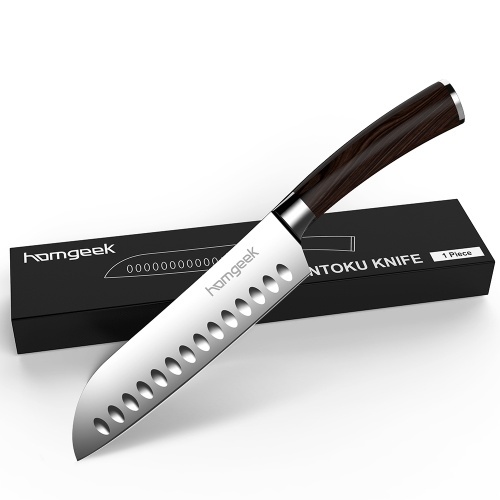 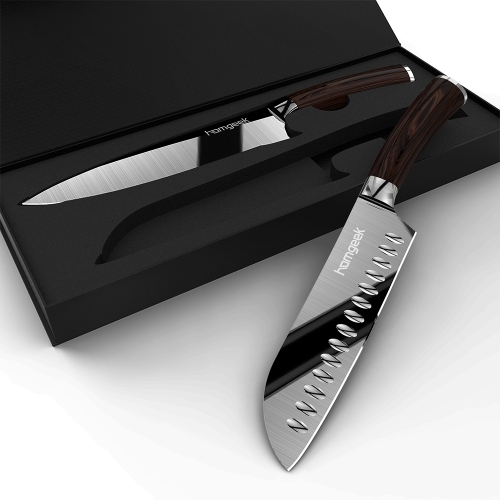 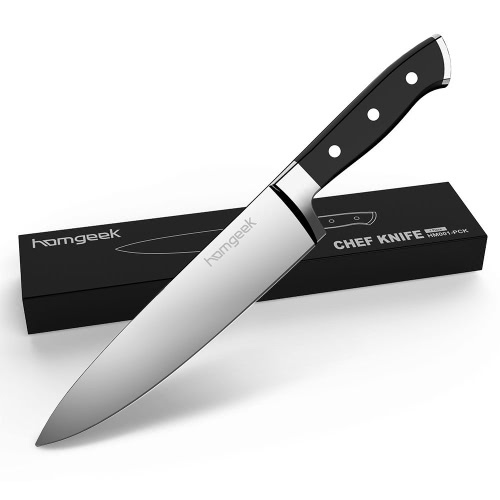 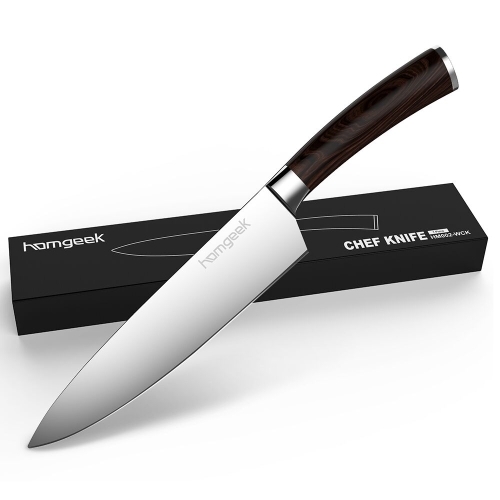 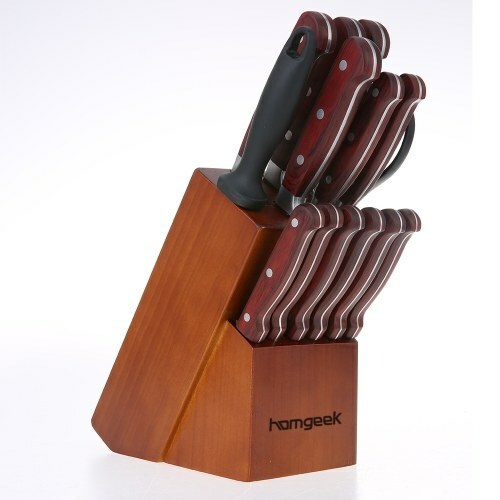 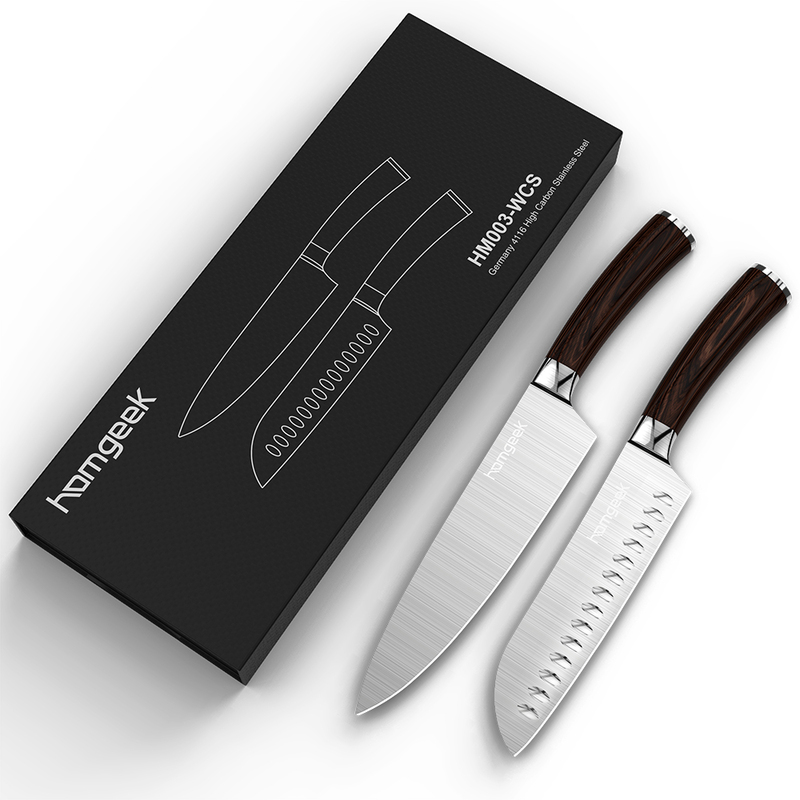 2pcs knives gift set, 7 inch Santoku Knife + 8 inch Chef Knife, meet your Western cutting and Asian chopping demand. 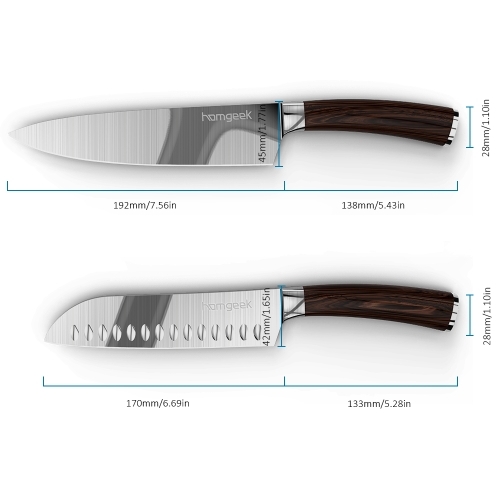 The Santoku Knife is designed with a broader curve blade in the front, much more versatile in cutting meat, vegetables and fruits. 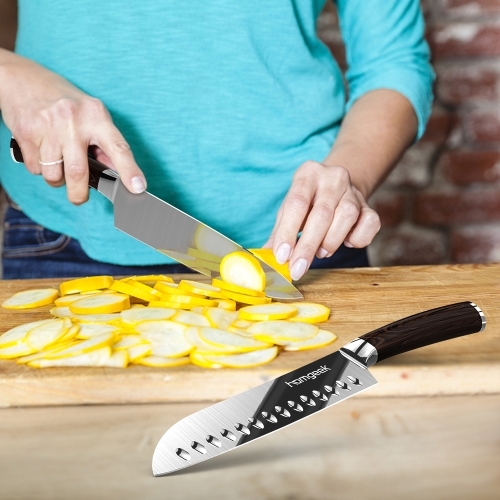 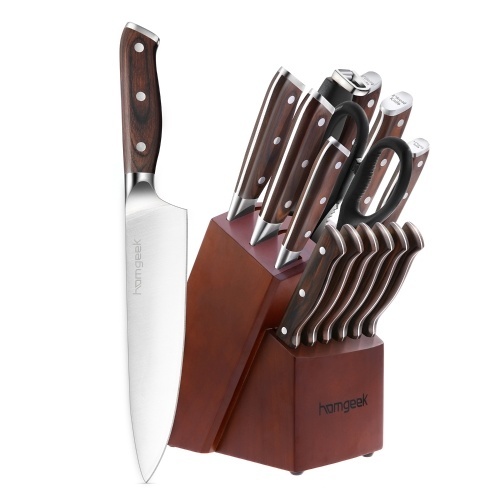 Lightweight and flexible kitchen knives, performed well in chopping and slicing. 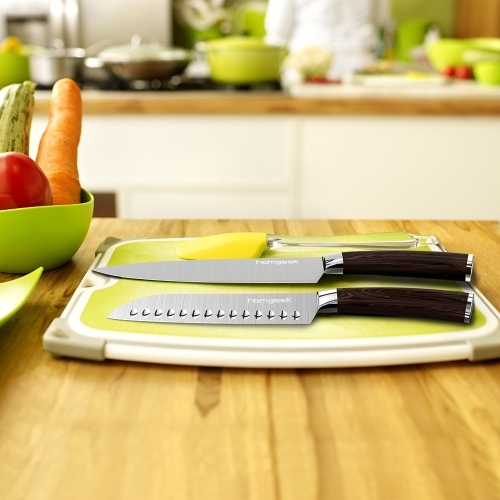 Professional kitchen knives, sharp, durable and easy to clean.